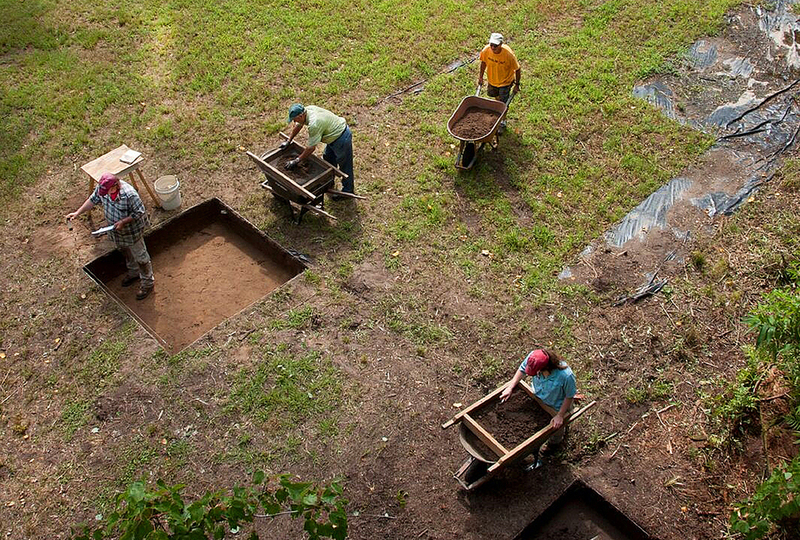 The mysterious Lost Colony of Roanoke is the cornerstone of North Carolina’s Colonial history. 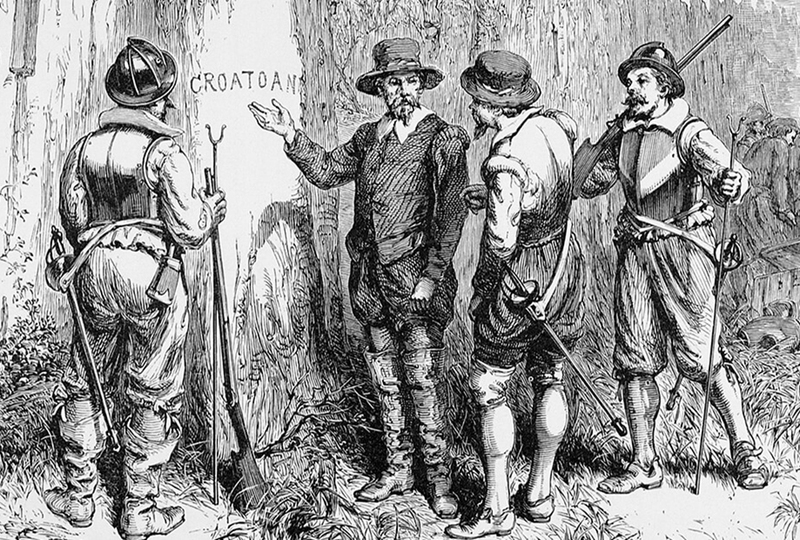 The 115 early settlers of the New World vanished in 1590 without a trace except for the word “CROATOAN” carved into a village post. But a new narrative is beginning to gain local interest. It’s a story not about loss but gain. The same Carolina coast is the site of the New World’s first science center, which predated the Roanoke colony. 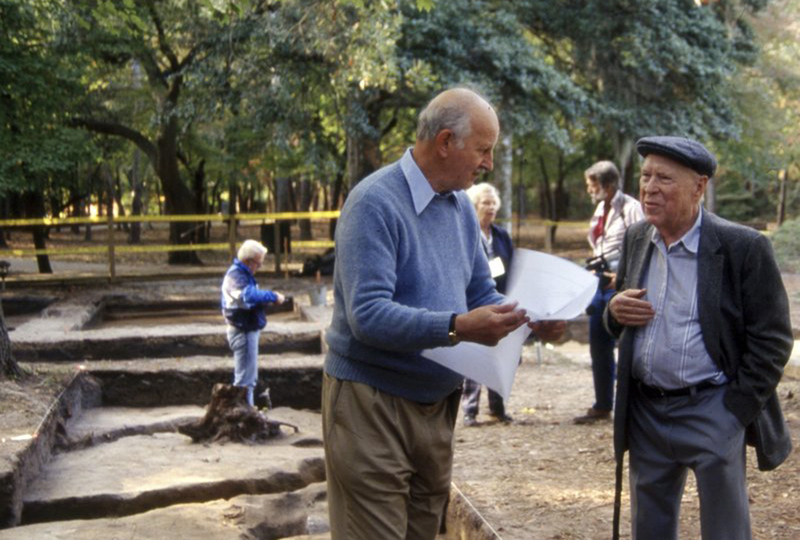 A few years before the Roanoke disappearance, a metallurgist named Joachim Gans arrived on the Carolina shore. He was part of a 1585 expedition. Explorer Sir Walter Raleigh had requested Gans’ presence on the trip. Gans was born in Prague, now the Czech Republic, but came to England in 1851 where he became known for finding new and better ways to extract copper from ore reserves. Despite widespread anti-Semitism in England at the time, Gans’ Jewish ancestry didn’t interfere with his success. As the mineral expert, Gans proved an invaluable member of the 108-person exploration team. Leonard Rogoff authored a book entitled Jews in North Carolina. He notes that Gans’ inclusion “marks the line where England was more interested in what he could contribute to the economy than holding onto religious prejudices.” Gans gave nervous investors confidence that mineral mining in North America was worth funding. In this way, Gans was not unlike the biblical Joseph. He won Pharaoh’s favor and became an unlikely man of high-ranking importance in managing Egypt’s economy. Gans’ work in copper excavation was just the beginning. He launched a broad program of study at the tiny 10-by-10 foot science center they built. It included metallurgy, chemistry, and cartography. 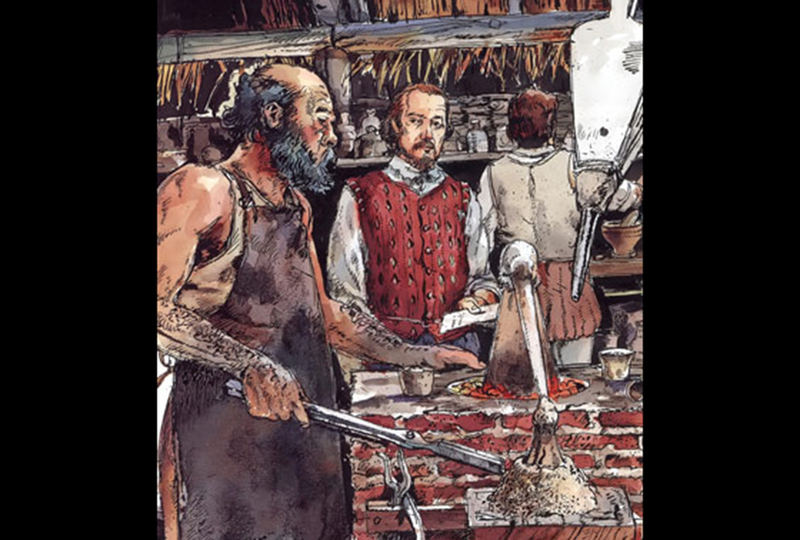 He and Thomas Harriot, also part of Raleigh’s scientific team, identified sassafras as a medicine. The herb became a lucrative export to England. Gans returned to England in 1586. His work in the New World helped convince the Roanoke colonists to settle there in 1587. When an English rescue team reached Roanoke in 1590, they found a single word carved into a tree where the town once stood. I don't agree with Mr.Lane. the mystery of the roanoake colony and Virginia Dare has always intrigued me! I have always wondered since i was 8, what ever happened to the lost colony, Just like i have always wondered about the Bermunda Triangle, Area 51, Amelia Earhart, and many many more. Hey, Rui P, my dad told me that they found out that after Earhart crashed people across America started receiving messages on their radio saying "Hello, this is Amelia Earhart we have crashed on a reef." and things like that. And scientists have found a skeleton on an island that they believe is Earhart's. I think Amelia Earhart is cool and always wondered what happened to her! Thx 4 telling everyone! they talk about random stuff. Its wierd how they just POOFED like that! At least they or somebody that took them could leave something more than just the word CROATOAN. Croatoan is an island nearby, or so I've been told. I've also heard that some Indians were recorded there who had blue eyes. I really hope I dont get Croatoan it sounds horrable! Has anyone here ever read Prince Caspian by C.S. Lewis? I think that his inspiration for the telmarines calm from this mystery. I've read Prince Caspian!! But i don't thing C.S. Lewis got that from this. I think he tried to make his stories kind of like the Bible... but you never know. Did you know he was friends with J. R. R. Tolkien, who wrote the Lord of the Rings? Yes Elizabeth H, I did know that. Amazing isn't it, that those two series of books were written by friends.